Benoît began his career at Renault, as an intern. Having been sponsored through his Transport design degree at Art Center’s European outpost in Vevey, he officially joined the French firm in 1994 – where he was responsible for the Sport Spider, Fiftie concept car and the production Laguna II saloon and station wagon. He also took the fourth generation Espace through to production. 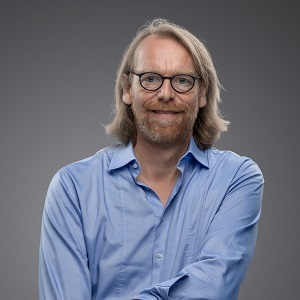 In 2001, he moved to Volkswagen’s Sitges outpost, and helped to establish Audi’s Munich advanced design studio, before heading across the city to BMW design in 2003. While at the FIZ, he worked on the X6, M1 Hommage concept and Megacity vehicle (which became the i3) – a vehicle close to his heart, as it was the first to emerge under his tenure as Design Director at BMW i – a position he took up in 2010. Jacob also served as Head of BMW advanced design and BMW group vice-president of design before moving in 2016 to join a then-mysterious Chinese start-up, known as Future Mobility Corporation, which was backed by Hong Kong-based tech company Tencent holdings. In September 2017 FMC came out of stealth mode as BYTON, and presented a fully working prototype SUV in January 2018, the so called M-Byte. They offered journalists and VIPs rides around a parking lot in this prototype at CES in Las Vegas.